Check out the first single “Fashion” from the critically acclaimed Swedish alternative pop outfit. The track shimmies back and forth from bright synths into a robust pop hook. To record the EP, the quartet— David Larson [vocals], Filip Bekic [guitar], Magnus Robert [bass], and Frans Povel [drums]—hit a Los Angeles studio earlier this year with producer Tony Hoffer [M83, Phoenix, Depeche Mode, The Kooks] behind the board. Now, the collection’s five tracks bristle with an unshakable energy and swaggering charm. 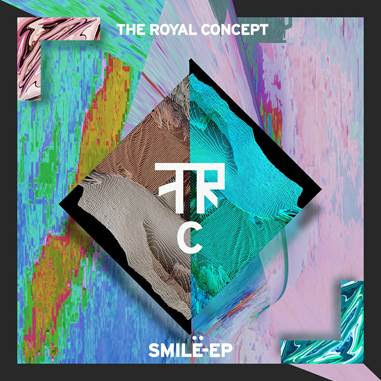 The Royal Concept ignited an international buzz with their 2013 smash “D-D-Dance.” It soared to #2 on Hype Machine, as follow-up songs “Gimme Twice” and “World on Fire” landed at #3 on #1. Their debut The Royal EP also saw them receive coverage from Rolling Stone, Billboard, FILTER Magazine, Alternative Addiction!, and more. Meanwhile, Examiner predicted, “there are big things ahead of this group” and Glamour proclaimed “Gimme Twice” “one of this summer’s big hit songs.” “On Our Way” became their biggest hit, landing over 25 syncs including Glee, FIFA 14, and more. Online, combined video views exceed 10.5 million.